Last May, in ISO SC27 meeting held at Sophia Antipolis. WG5 Identity Management and Privacy Technologies voted to make ISO 29100 Privacy framework a public document. After JTC 1 Plenary endorsement in November 2013 meeting, the standard is now available at http://standards.iso.org/ittf/PubliclyAvailableStandards/index.html (search for 29100). 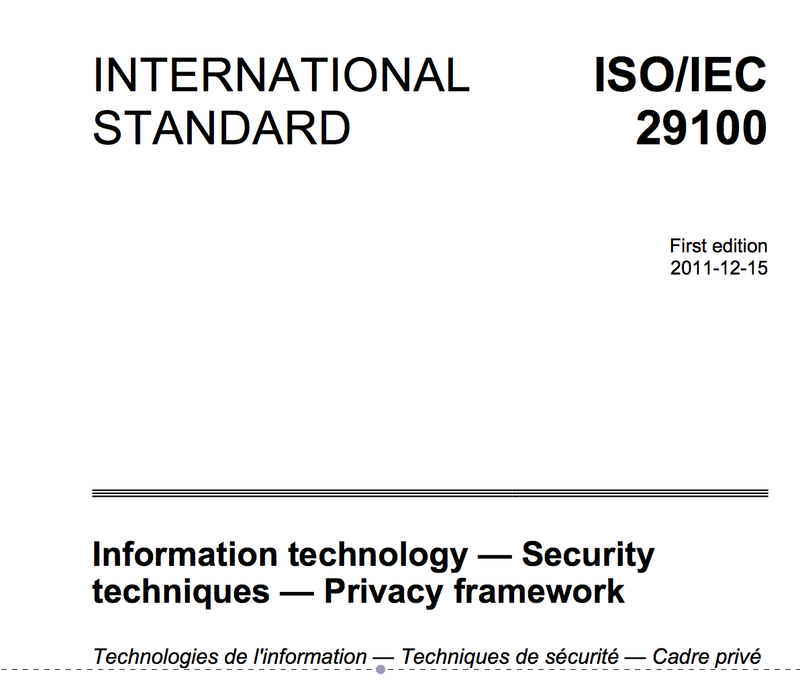 Another document are listed is ISO 27000 Information security management systems — Overview and vocabulary. For most people in the IT security industry, the relationship between owner, processor and user of PII is confusing. Table I in ISO 29100 provides a clear and user friendly way to understand their relationships. Note from 2016 SC27WG5 meetings : A new edition on improving consistency and language is planned. New version shall be ready next year. This entry was posted in ISO 27001, Privacy and tagged #27018, ISO29100 on 25/01/2014 by antonyma.